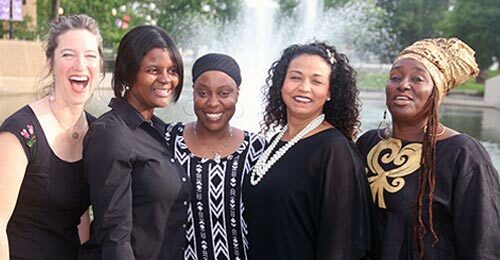 The Graduates is a three-year old performance ensemble comprised of former members of the Louisiana Correctional Institute for Women (LCIW) Drama Club. The Graduates use their personal experiences with the criminal justice system to create performances that: reach out to young at-risk women; give a window into incarceration's effects on individual lives; and encourage those who have the power to shift current policies to do so. The ensemble's performances are directed by Ausettua Amor Amenkum (Big Queen of the Washita Nation and artistic director of Kumbuka African Drum and Dance Collective) and Kathy Randels (artistic director of ArtSpot Productions and founder of The LCIW Drama Club). The Graduates are proud to announce our new project, Won’t Bow Down!, which draws on centuries of Black resistance in Louisiana to build awareness of mass incarceration and racial injustice. We will perform monologues, mount public art installations that symbolize how many citizens are missing from their home communities, and organize a large gathering of local and national citizens who are working on criminal justice system reform and prison abolition. Read more about the larger issues on our Graduates website. The Graduates program was created with support from the Open Society Foundations and the Surdna Foundation. Additional support has been provided by The Edward Wisner Donation and the Emerging Philanthropists of New Orleans. Major support for The Graduates and Won't Bow Down! is provided by the Robert Rauschenberg Foundation, the Andrew W. Mellon Foundation, and the Alternate ROOTS Partners In Action program.